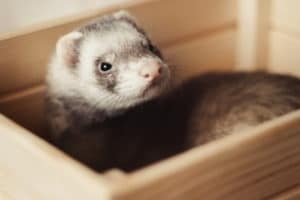 If you’ve got a pet ferret, you’ll know that they’re curious, fun-loving creatures who are always looking for new ways to explore and play. Maybe this is because ferrets are actually a part of the Mustelidae family, which includes otters and seals, two animals known for their love of fun and games. One great way to interact with your ferret is to ‘wrestle’ with them (using your hands). To do this without getting bitten, you’ll need to nip train your ferret using a combination of treats and patience. Rather than putting your ferret down when he bites you, try holding onto him for a few seconds, then put him down. When he doesn’t bite you, give him a treat. If your ferret latches onto you using his teeth, hold him by the scruff of the neck and put your finger gently in his mouth until he lets go. Ferrets love a good tummy rub. If your ferret grabs hold of you with its arms, then you should rock them gently back and forth, as if they’re in a hammock. You could also try sliding them around the floor, being careful not to move too quickly. Drape an old sheet or light piece of fabric across the floor and let it billow full of air. Your ferret will like climbing under it to play. 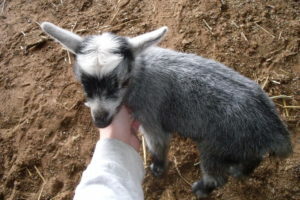 You can they try to tickle him or play your own variation of hide and seek. Ferrets adore trying to catch things, so why not try attaching something light to a shoestring and running around the garden with it. Your ferret will soon be on your tail. This will give your ferret an awesome playhouse to roam around. Make sure you cut holes in the sides so he can slide through them, and fill it with sheets or soft towels so that he can’t hurt himself. 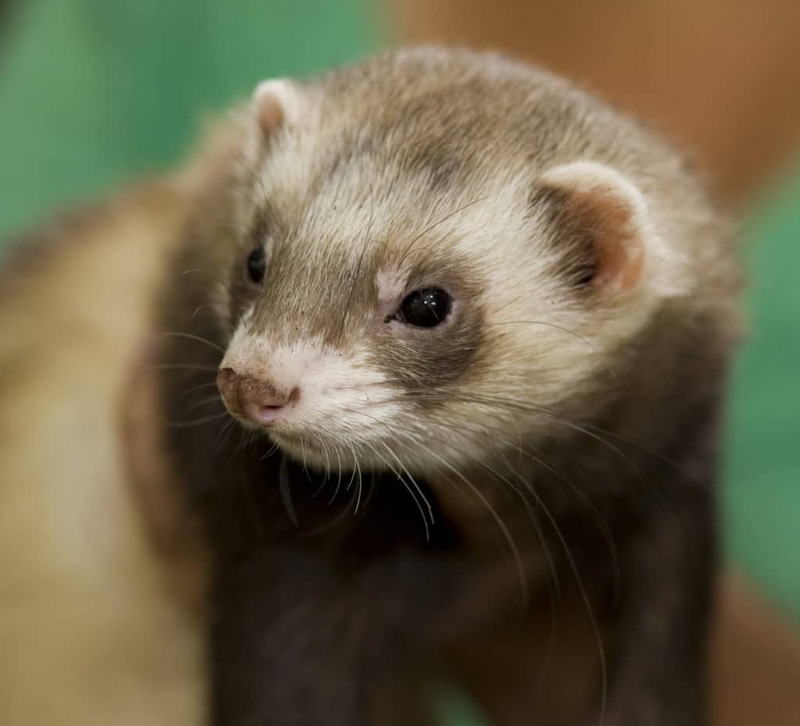 Discover the need-to-know basics of ferret care. Explore more furry friends with our features on mammals. Is it easy to take care of a pet rat? 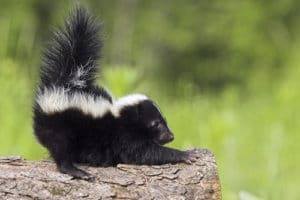 Do skunks really make good pets? Rats have been given a bad name by decades of bad press. Far from the dirty, disease-filled pests that are portrayed on our screens, these sociable, clean animals have a few surprising perks to owning them. These sociable, friendly pets are highly trainable animals who show affection for their owners and have many cute little quirks that make them great companions. They also have a very strange way of showing they’re happy! With that in mind, here are three surprising behaviours of pet rats. This one will be no surprise to those who will have seen the boxing, chasing and excited jumps with their own eyes, but many are unaware that rats spend lots of time playing with each other and their owners. One scientific study actually showed that rats giggle when they are tickled. It’s highly recommended that you fill your pet rat’s cage with lots of enrichment toys and interact with them daily. 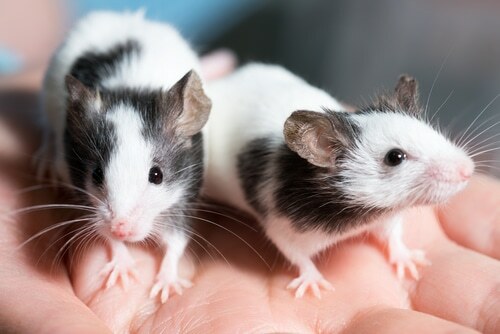 Many owners report that their pet rats love being chased or to wrestle their hands! Rats are incredibly social creatures. 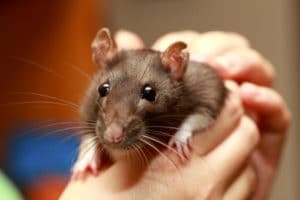 While of course every animal has its own personality and there are exceptions to the rule, they need to live with at least one other rat and most enjoy lots of daily interaction with their owners. It is not a rare sight to see pet rats snuggled up in the laps, pockets and sleeves of their humans. They will also nibble and lick them, as they would other rats, in a show of affection. Surprising when first witnessed, one of the most peculiar aspects of rats is the way they display their contentment. While cats purr and dogs wag their tails, when a rat is very happy or relaxed they will brux and boggle – which is a sort of teeth grinding and very fast bulging of the eyes. Rats are brilliant pets for all ages and there are many positives that come from owning these friendly, misunderstood animals. When they’re living in the wild, degus focus on dietary fibre. It makes up about 60% of their diet, with the other 40% consisting of natural vegetation. But when they’re kept as pets, you’ll need to keep a close eye on what you feed your degu. For the most part, your degu’s diet should consist of good quality hay. 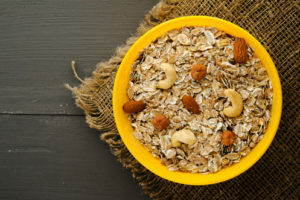 There are lots of brands that will suffice, but two of particularly good quality are Timothy Hay and Meadow Hay. Keep an eye on the colour: if it’s pink or white, you should throw this hay away as it’s growing mould. If it’s green, it can cause bloating. Occasionally, you can mix some Alfalfa hay in with your regular hay. It’s high in protein, so great in small doses. You can top up your degu’s bowl with a little bit of guinea pig or degu-specific food, but don’t go overboard. It’s important that your degu doesn’t start ignoring the hay because it’s got a range of health benefits, including the maintenance of a healthy gut and strong teeth. Around 10g of degu food a day should do the trick. Some sugary foods can be an occasional treat for your degu. In excess, they carry the risk of diabetes, so we’d only recommend doing this once a month. As a general rule, the main thing to avoid giving your degu is fruit not listed here, rabbit food, hamster food or anything with molasses. Just like us, degus love food – whether it’s good or bad for them. 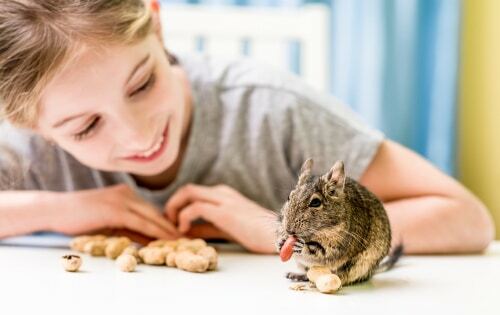 Bookmark this page to make sure you give your degu a balanced diet, and happy feeding!